A non-profit that builds community. 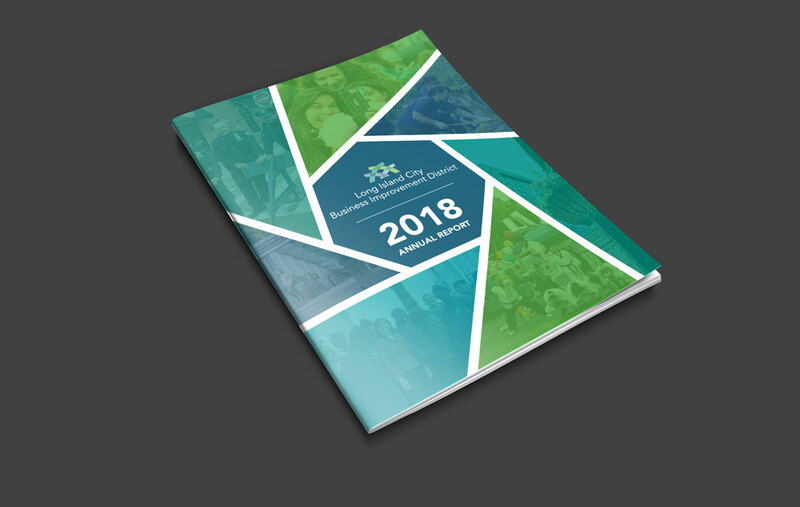 LIC Partnership’s administrative and marketing team is motivated and spirited, unifying Long Island City in the areas of business and culture via events and programs. 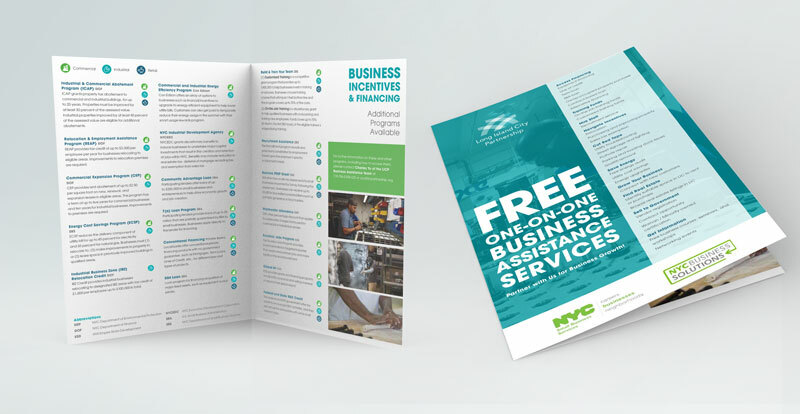 LICP already has a properly structured brand, but on an ongoing basis for campaigns, events, and everyday collateral, they need visual identity and design assistance for their own materials as well as those of the Long Island City Business Improvement District (LIC BID). 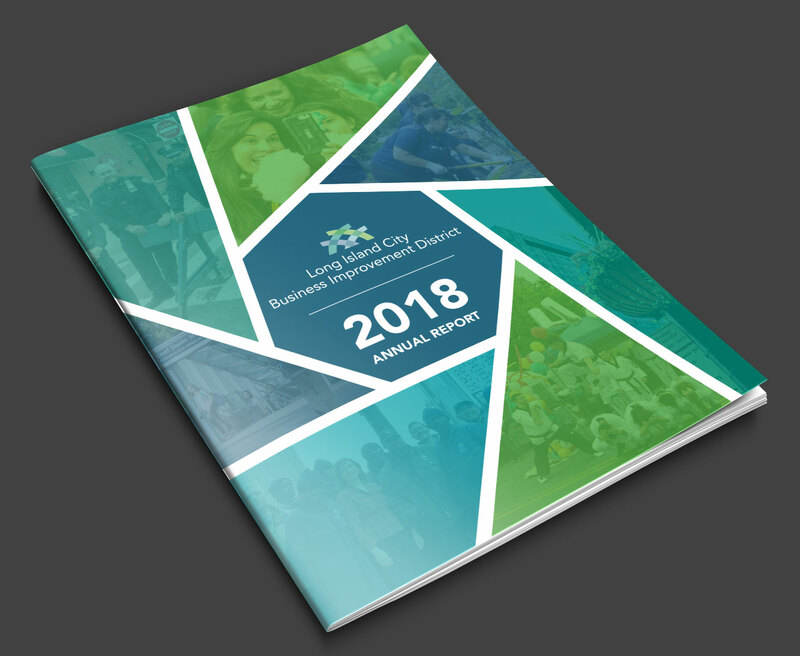 We have designed the Long Island City Business Improvement District’s (LIC BID) 2017 & 2018 Annual Reports, as well as the Long Island City Partnership (LICP) 2018 Gala Program, promotional postcard, and 2018 Annual Report. The proposed designs were a big hit with the team, and beautifully reflected the many facets and diversity of Long Island City. We injected editorial guidance, where applicable, to enhance headlines and messaging, eliminate verbal redundancy, and improve readability. 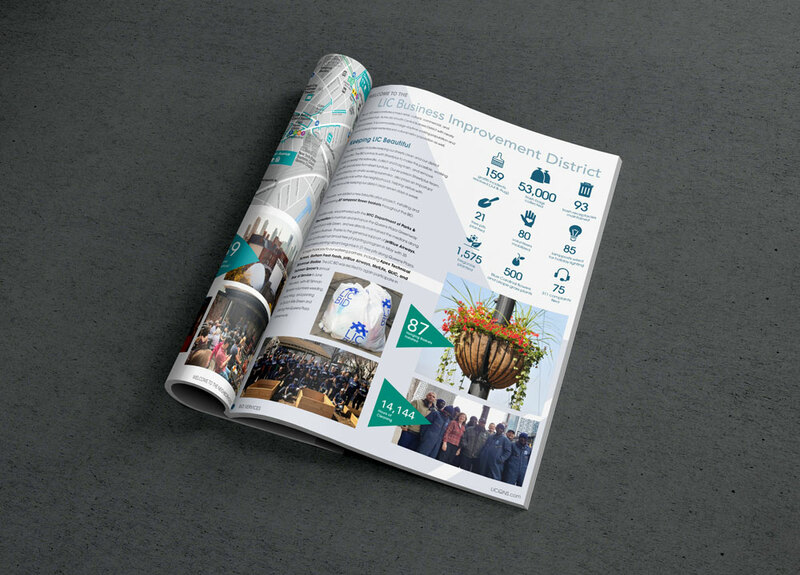 Within a tight deadline, we worked hand-in-hand with key staff to complete the project on time and within budget. 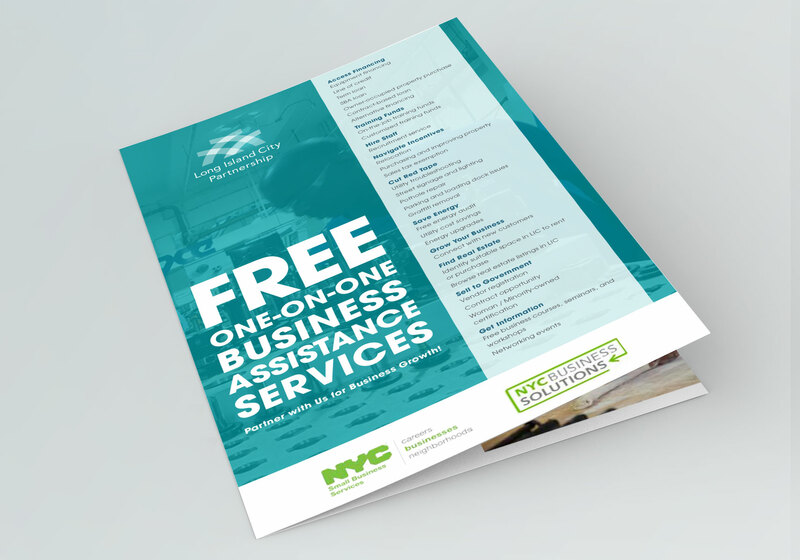 Our initial brand identity project was this business services brochure redesign. 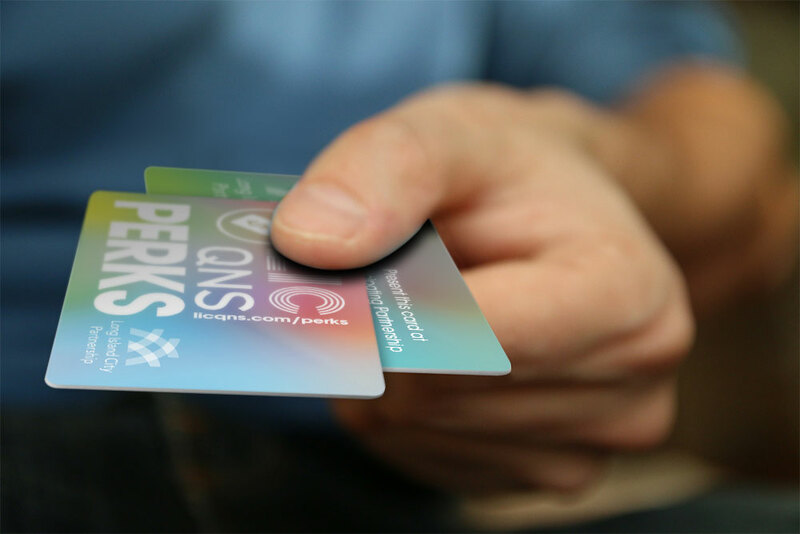 We reworked the content, incorporating photography and visual indicators taken from other branded print pieces. 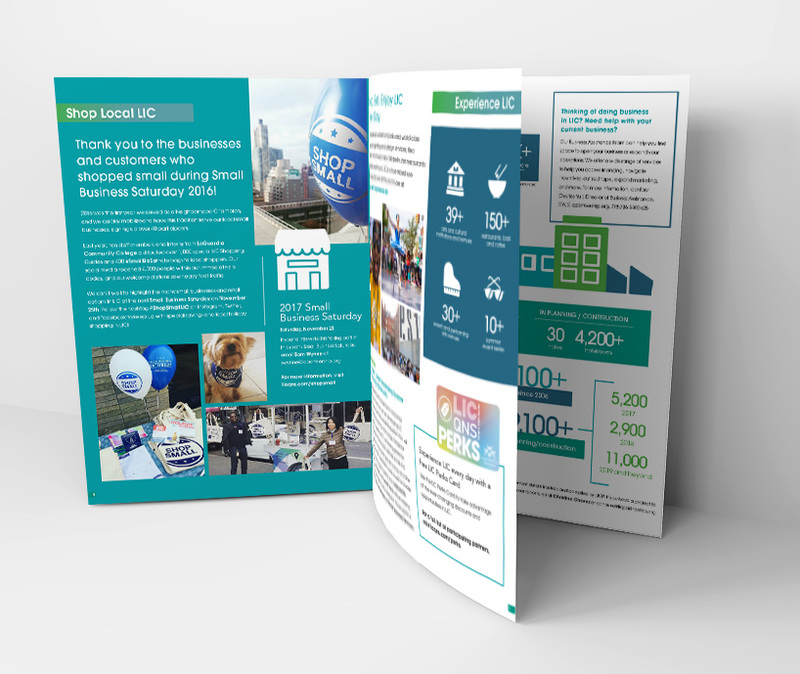 While it needed to be standalone, the brochure very often accompanies other pieces in a folder handed out to prospective members and other parties. It had to be on-brand yet stand out. In the end, we presented the team with a bold redesign, all within budget and ahead of schedule. 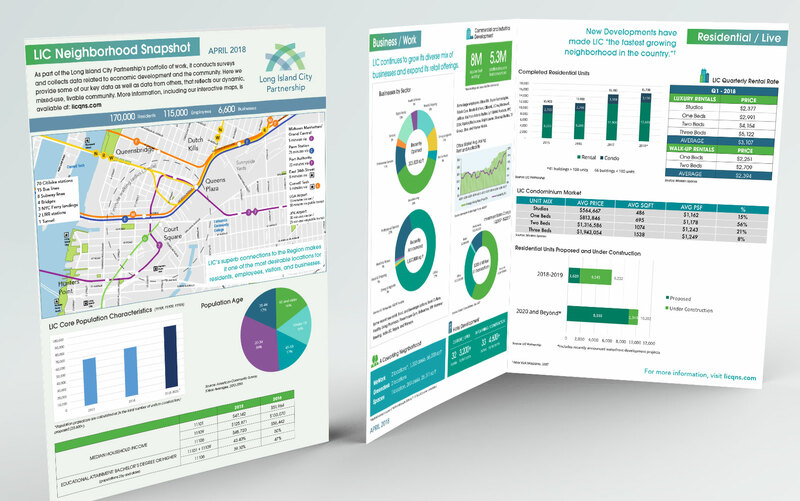 In preparation for their 13th Annual Real Estate breakfast, we created a bifold info sheet to be presented to the attendees, featuring statistics, maps, and charts reflecting growth and real estate development in Long Island City. 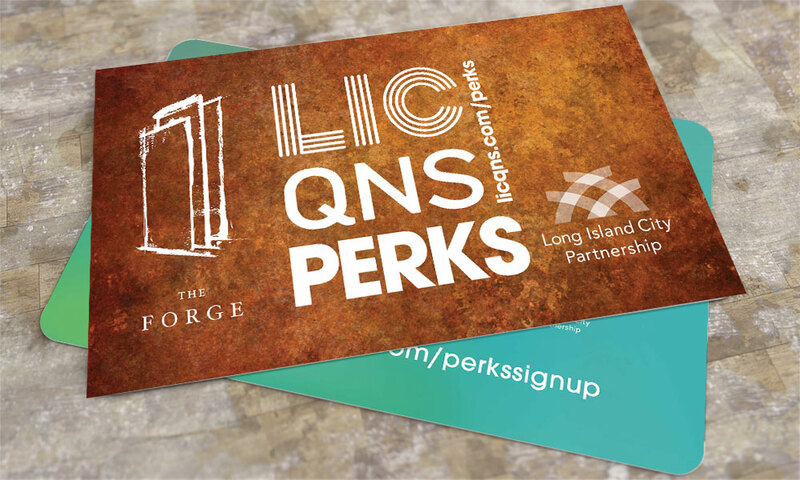 We redesigned the Long Island City Partnership’s Perks Card, a loyalty card handed out around LIC to get special discounts. 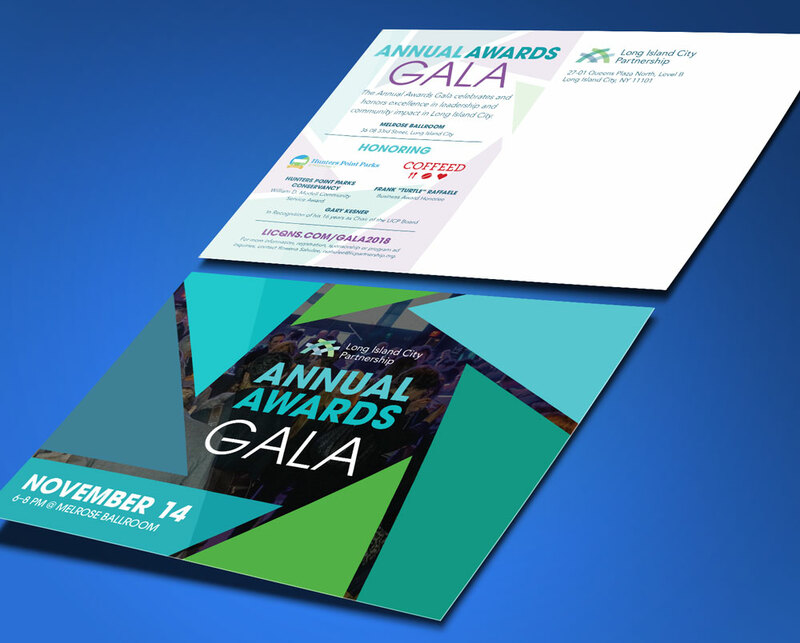 We were asked to redesign the core version (front and back), as well as a co-branded version for their vendor partners to hand out to their customers.